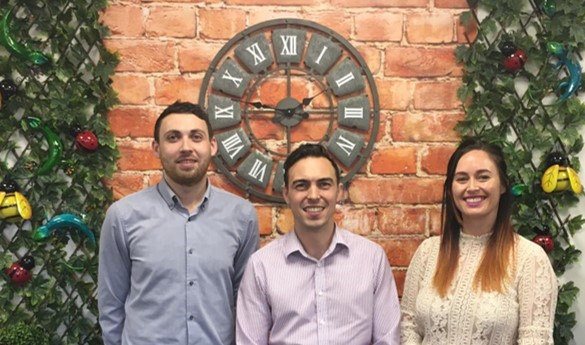 With the business “growing at an exceptional pace”, Smart has invested further in expanding its sales teams with a number of new appointments. Carl Beiersdorf joins the business as key account manager. With a wealth of experience in the garden trade, including roles at Quantil, Ivyline and Webbs of Wychbikd, he is likely to be a familiar face to many customers. Dan Twidle has been appointed area sales manager, working with Adrian Seber in the South West. Louise Craven brings extensive consumer product experience to the company from roles at Gardman, Robert J Hall, Spear & Jackson, and Candlelight Products, which will be invaluable in her role as national account manager, says Smart Garden. Smart Garden Products managing director Jonathan Stobart said: “As our dynamic growth continues, new opportunities are created in the company. Carl, Dan and Louise have all worked in our industry and can hit the ground running as we head into next season. 2019 promises to be a fantastic year”.